Our stickers are available in full colour, they can be die cut to shape and supplied as separates, or supplied on rolls. Our stickers also come printed on different types of paper and vinyl; from uncoated for a simple look or perhaps you fancy printing them on chalk paper to add a touch of sophistication - perfect for wine bottles and other luxury objects. 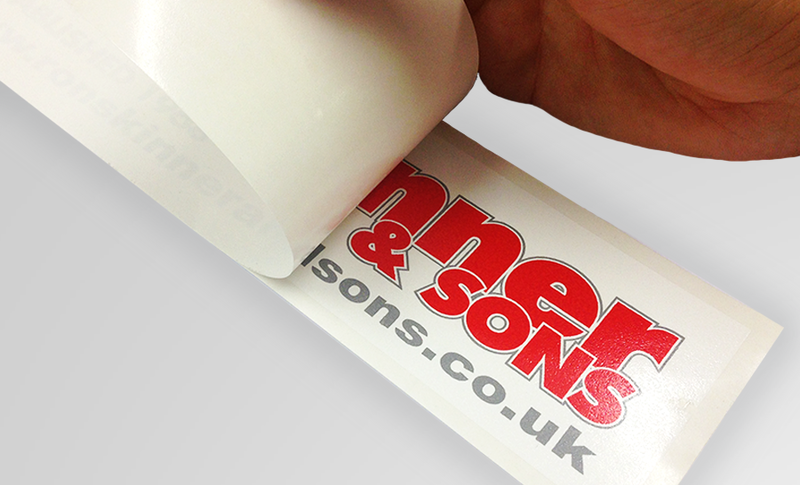 Browse through our range of stickers to find the style suited to you and your business. Our full colour stickers come in four variations: bumper stickers, inverted car window stickers, clear stickers or silver acrylic stickers. Each type has its own unique flavour suited to different needs. All are perfect for promoting your business. Our address labels can be bought in either large or small. The large can come in as big as A3 while the smaller sized can come in CC if necessary. They even come in different types of paper to make sure you get the type of label that you are after. 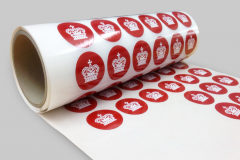 The stickers on a roll come in different shapes and sizes of your choosing; they are all on a roll that is 33cm wide. Have them in a circle, square, rectangle or die-cut, the stickers on a roll give you opportunity to leave your mark with a unique label. The paper label is an office necessity. Everyone needs to have their items labelled and with our paper labels, this can be done in style. Choose a label with a silky sheen to add a bit of class to your belongings. Can I see some samples before I order? Yes you can, simply fill in a sample pack request form enter 'stickers' into the comments box and we will send you a selection of stickers and other promotional print. Why are stickers so expensive? The most expensive part of a sticker is the stock (the paper or vinyl it's printed on), then, depending on what you're going to use the sticker for, the process of printing can also be very expensive. Don't assume that just because you want a two colour sticker that it's going to be cheaper than a full colour sticker. Above, you will find some of our standard sticker specifications and prices.